Choosing the right bed base for your mattress will change the feel of your mattress and can increase the life of your mattress. Would You like any advance Features? 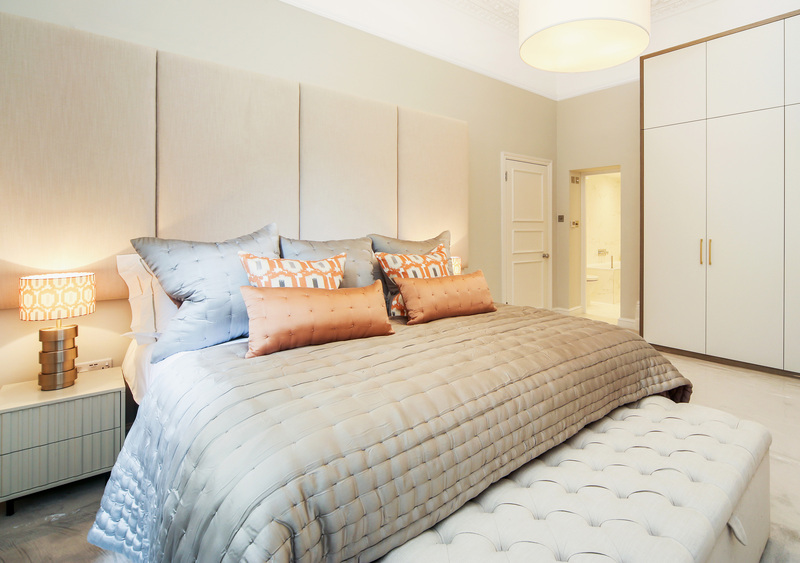 One of our latest designs In Upholstered beds, the Hempel Upholstered Bed, is designed with four upholstered panel borders manufactured in your choice of over 200 fabrics. The Hempel design is very similar to our Goring Upholstered bed, the difference being it’s a lower bed with lower feet giving the look of the Japanese Platform beds, The Hempel Upholstered bed will look fabulous in any bedroom setting especially in any room like your loft where you are restricted in height space. If you are buying matching fabric Upholstered items then please be aware that the pile on the fabric may not necessarily run in the same direction depending on the products ordered. If this is a problem please contact us. The total assembly time for the construction of the Upholstered bed will take 10-15 minutes. This bed is suitable for a standard UK Double Mattress (1350mm x 1900mm). Please note that the mattress in the image is for an illustration purpose and is not included with the Upholstered bed. There is no headboard with this product. If this custom option is suitable for you requirements, please contact us and one of our team members will be willing to help. We offer various bed slat solutions with our Upholstered bed frames. Choosing the right bed base for your mattress will change the feel of your mattress and can increase the life of your mattress. 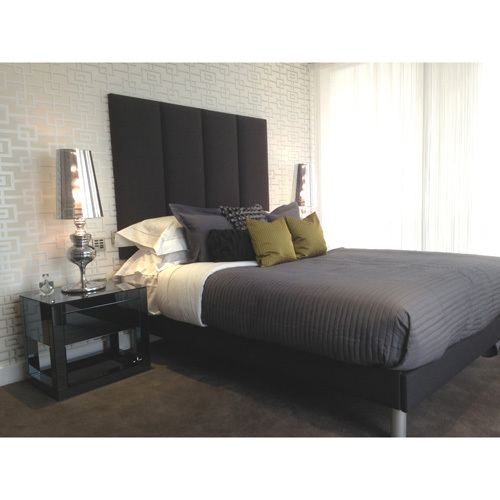 All our upholstered beds are manufactured by our skilled Upholsterers on site on a made to order basis. None of our upholstered beds are pre-stocked. All our items are manufactured in our warehouse in Middlesex, UK.